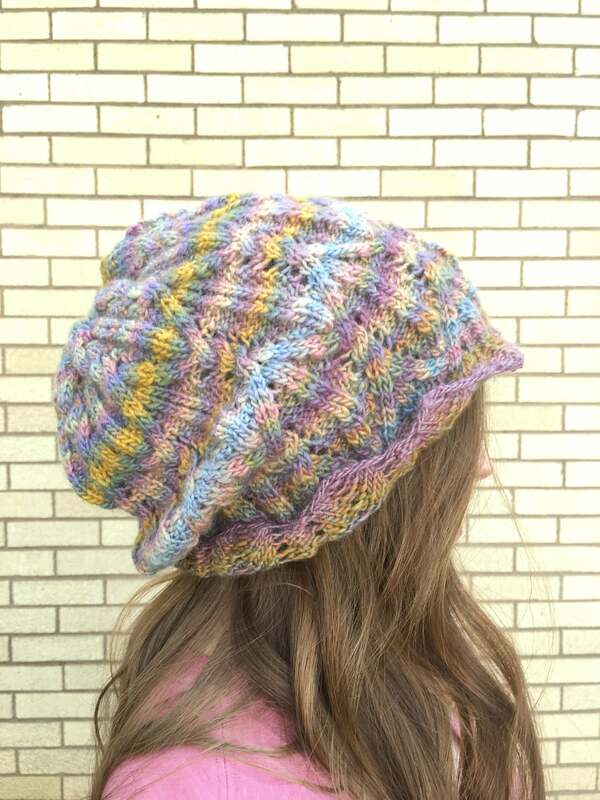 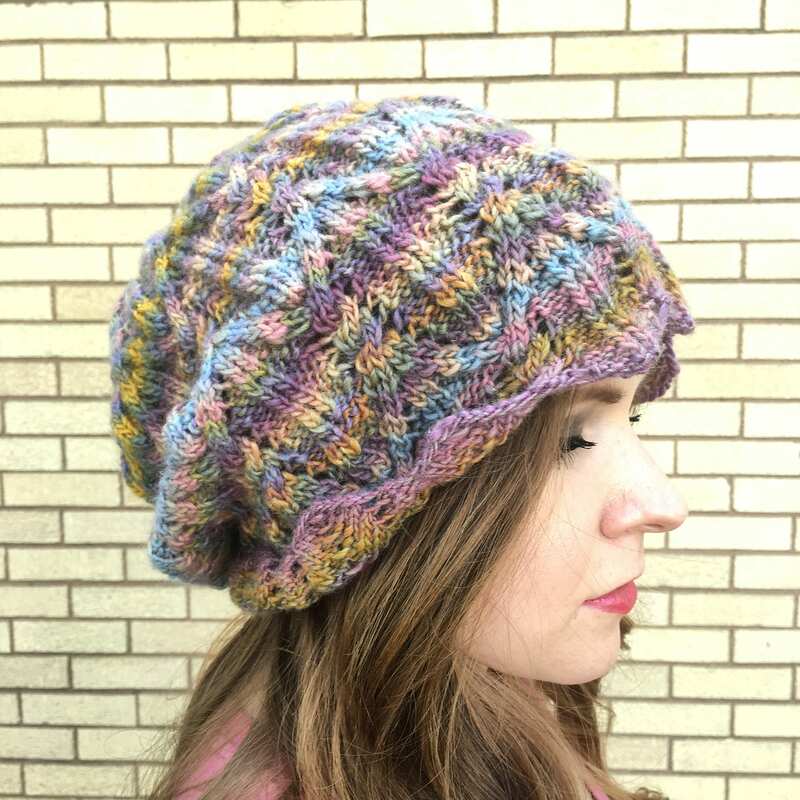 This beautiful knitted lacework hat is full of soft shades of blues, greens, golds, purples and pinks, fading in and out of each other and causing a gorgeous striping effect that circle around, ending up in a gentle zig zag edge around the entire perimeter. 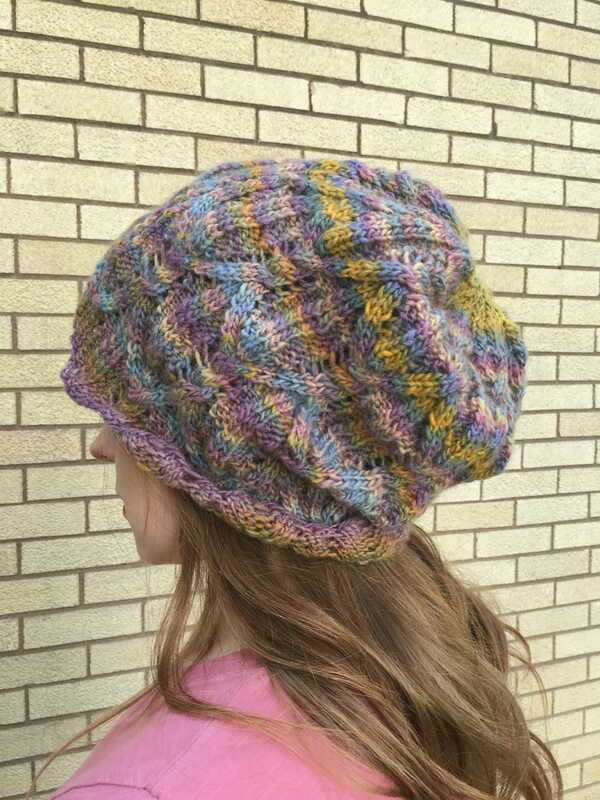 It can be worn with as much or as little slouch as your mood of the day dictates by simply turning the edging back to create a brim. 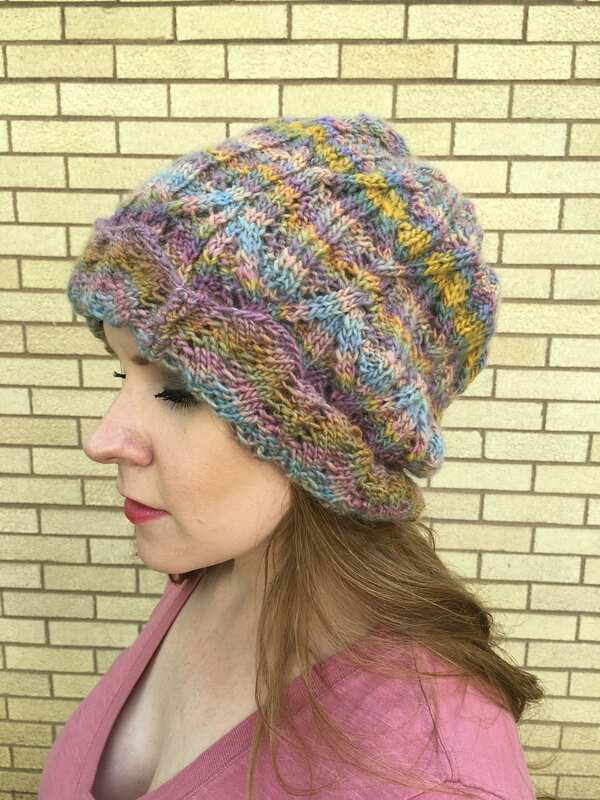 Let this be that one stunning, stand out accessory to your Fall and Winter wardrobe. 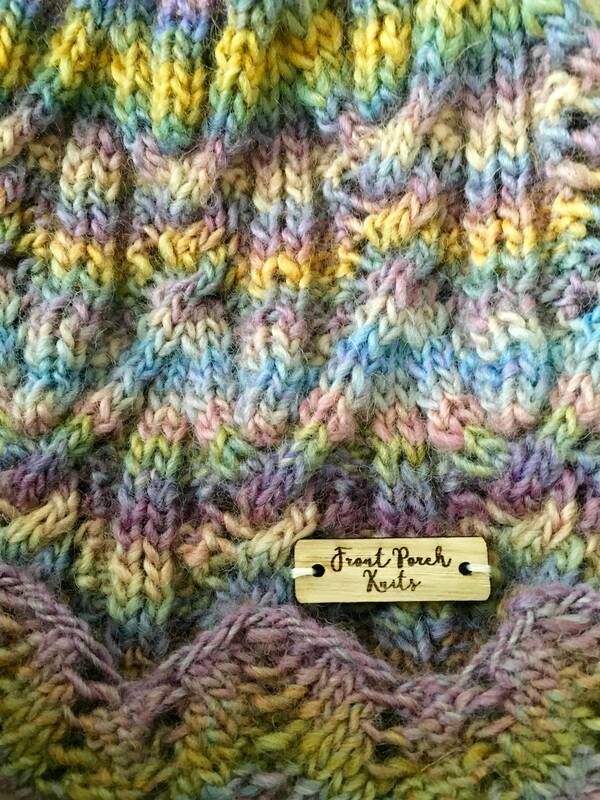 Each hat comes with my solid Oak tag bearing Front Porch Knits to ensure authenticity. 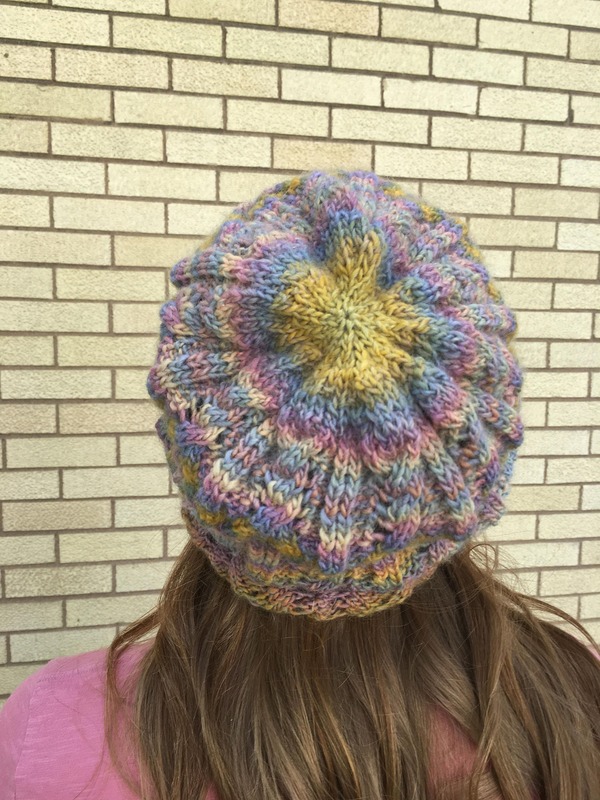 Thank you for shopping with Front Porch Knits!